Chicago Coach Bus Rental - Chicago Large Group Transportation Services - Top Fleet Inc. A Chicago Limo Service. 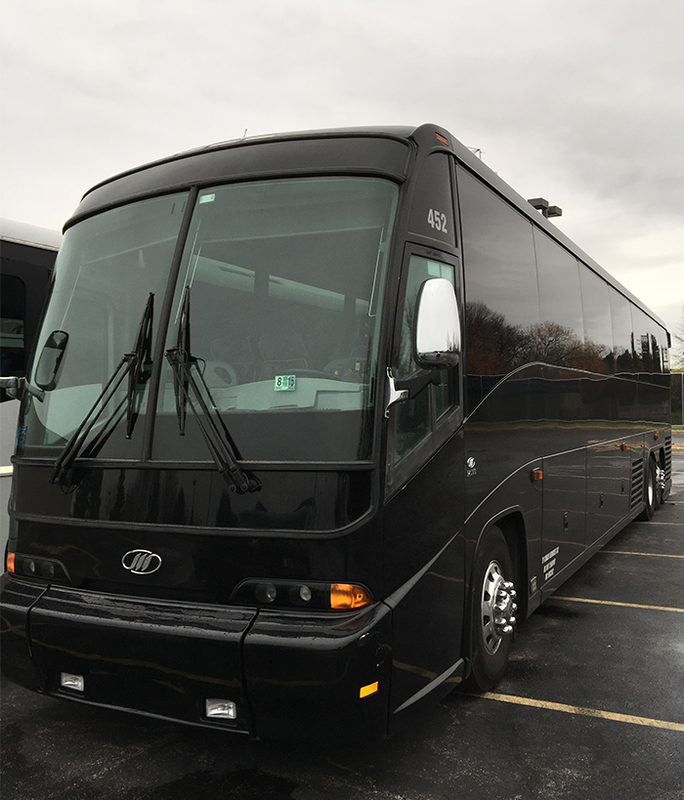 Top Fleet Inc. has a 55 passenger Chicago coach bus available for your transportation needs. 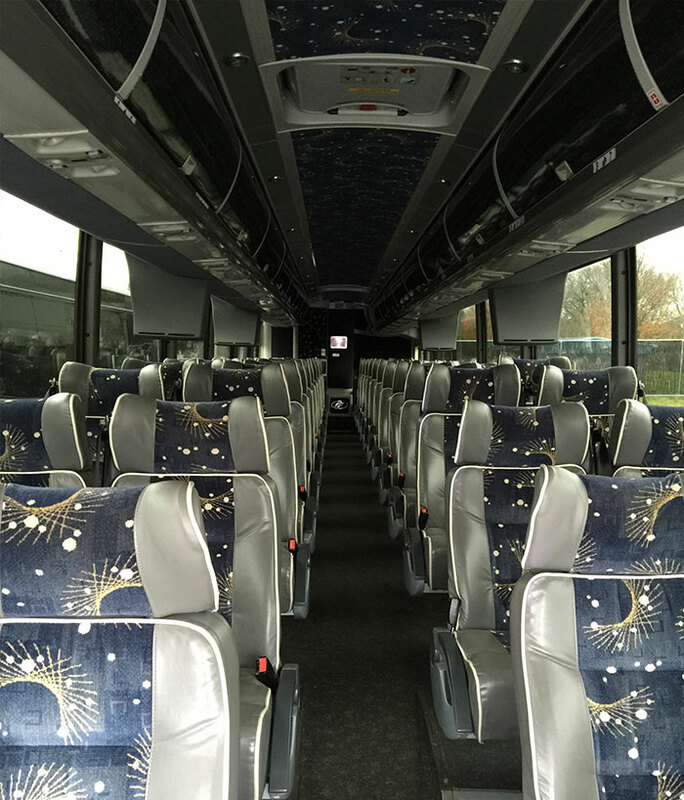 Perfect transportation for church groups, Chicago weddings, corporate events, reunions, schools and colleges, sporting events, teams, and more. Our professional, uniformed drivers are DOT certified. Safety, reliability and comfort are our top priorities. Top Fleet Inc. is the best company to entrust your Chicago transportation needs to. 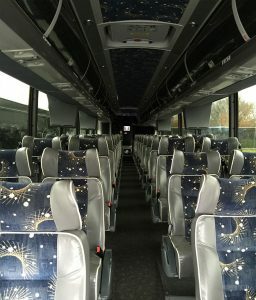 Whether you choose the 55-passenger coach bus or one of our other vehicles, you will always arrive on time, in style and comfort. Top Fleet Inc. has a luxury executive shuttle bus available as well.